Unfortunately the ~/Library folder is now hidden by default but there is an easy way to access it. Start by running Finder, the app that helps you navigate all of the files and folders on your Mac. 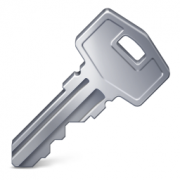 Press the Option key – Your Library folder will magically appear in the menu. 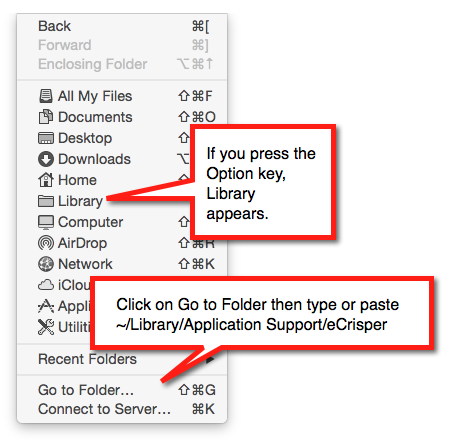 Choose Library from the menu to open the folder in the Finder then navigate to Application Support/eCrisper. Once you have Finder in the correct folder, you can drag the license file into it.